Detroit – a city on the way up? I’ve blogged about Detroit a number of times over the years including when I drove through Detroit in 1994 on a coast-to-coast Odyssey in a fine old piece of ‘Detroit iron,’ a 1959 Cadillac. Or more accurately Detroit chrome. 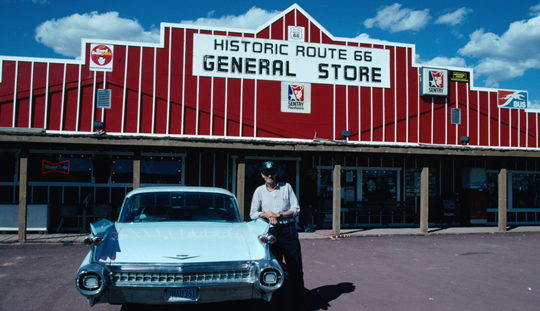 ▲ Here I am with that ’59 Caddy on Route 66 earlier in that trip. I also remembered Detroit in a review of a book about Detroit, some thoughts about my life there between 1957 and 1961 and a play – Clybourne Park – I’d just seen twice, in London and in Melbourne. Clybourne Park was actually set in Chicago, but it could easily have been Detroit. 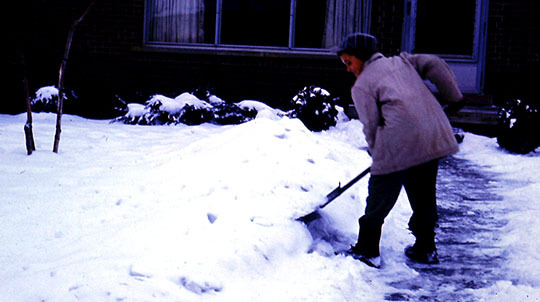 ▲ I was probably 11 years old when this photograph was taken of me shoveling snow off our Inkster entrance path. 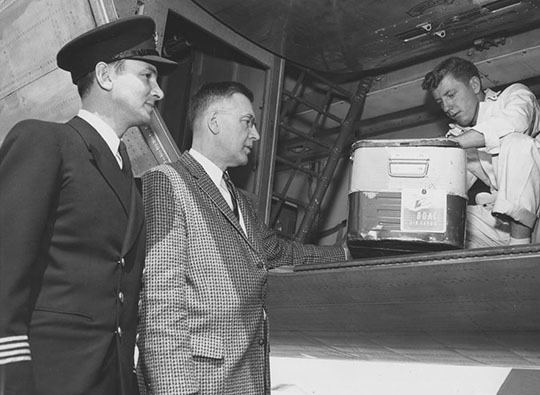 ▲ My father was working for BOAC – British Airways today – and a blog I wrote about BOAC airliners (and my father) in Detroit also featured a page I wrote for British Airways’ High Life magazine about my father (in the uniform) supervising the loading on to a BOAC aircraft of the first Salk oral polio vaccine to be flown to London. Detroit not only produced all those wonderful chrome-plated, V8 engined freeway cruisers it was also a leading pharmaceutical centre. 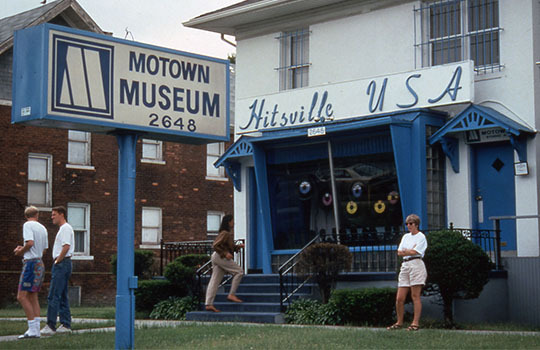 ▲ A few years later it was also the music centre for Tamla Motown and more recently for punk and hip hop. Here’s my wife Maureen in front of the Motown Museum when we visited Detroit in ’94. I’ve pushed for more recognition for Detroit over the years so I was delighted when it featured in Lonely Planet’s 10 top cities in Best in Travel 2018. You can read all about Detroit as ‘America’s most ambitious renovation project’ on the Lonely Planet website.